Sydney Halpern is a historical sociologist who studies biomedical science and the emergence of health-care institutions and professions. Her recent work addresses moral and regulatory issues in human experimentation. Her forthcoming book, Dangerous Medicine, chronicles a thirty-year, government-sponsored program in which American researchers deliberately infected people with hepatitis. The volume offers a sustained picture of how, during World War II and the Cold War years, scientists persuaded a large swath of the American public that hazardous human experiments were not only morally acceptable, but also an exemplary expression of citizenship. Halpern’s previous books include American Pediatrics: Social Dynamics of Professionalism (University of California Press, 1988) and Lesser Harms: Morality of Risk in Medical Research (University of Chicago Press, 2004). Lesser Harms, examining informal constraints on early vaccine testing, won the Visiltear Award from the American Public Health Association. 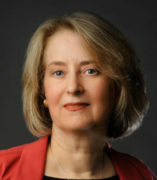 Halpern earned her Ph.D. in Sociology at University of California, Berkeley. She has served as Professor of Sociology at the University of Illinois at Chicago, and Vanderbilt University. She is recipient of an Investigator Award in Health Policy Research from the Robert Wood Johnson Foundation, and a grant and multiple university fellowships from the National Endowment for the Humanities. For Dangerous Medicine, she received an award from the National Library of Medicine of National Institutes of Health. Halpern is currently Lecturer of Medical Education at the Center for Bioethics and Medical Humanities, Feinberg School of Medicine, Northwestern University. Sydney Halpern. 2008. “Hybrid Design, Systemic Rigidity: Institutional Dynamics in Human Subjects Oversight.” Regulation and Governance 2 (Mar): 85-102. Renee Anspach and Sydney Halpern. 2007. “From Cruzan to Schiavo: How Bioethics Entered the Culture Wars.” In Bioethical Issues, Sociological Perspectives: Advances in Medical Sociology vol. 9, ed. Barbara Katz Rothman, Elizabeth M. Armstrong and Rebecca Tiger. Boston: Elsevier JAI, pp. 33-63. Sydney A. Halpern. 2004. “Medical Authority and the Culture of Rights,” Journal of Health Politics, Policy and Law 29, no. 4-5 (Aug-Oct): 835-50. Sydney A. Halpern. 2001. “Constructing Moral Boundaries: Public Discourse on Human Experimentation in Twentieth-Century America.” In Bioethics in Social Context ed. Barry Hoffmaster. Philadelphia: Temple University Press, pp. 69-89. Sydney A. Halpern with Renee Anspach. 1993. “The Study of Medical Institutions: Eliot Freidson’s Legacy.” Work and Occupations 20 (3): 279-95. Sydney A. Halpern. 1992. “Dynamics of Professional Control: Internal Coalitions and Cross-Professional Boundaries.” American Journal of Sociology 97 (4): 994-1021. Sydney A. Halpern. 1990. “Medicalization as Professional Process: Postwar Trends in Pediatrics.” Journal of Health and Social Behavior 31 (1): 28-42.